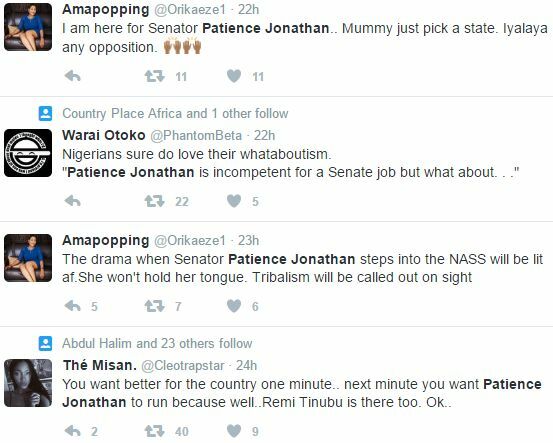 Abeg wetin dem dey do for that Senate wey Mama Peace no fit do; is it to sleep, to clap, to laugh or to shout yay or nay? 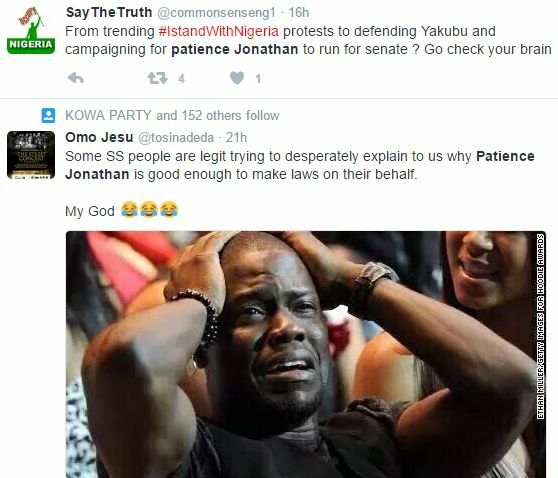 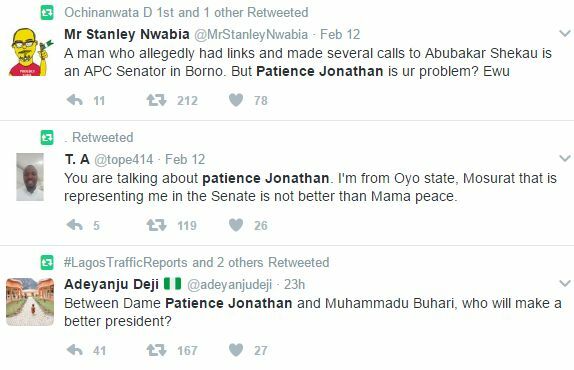 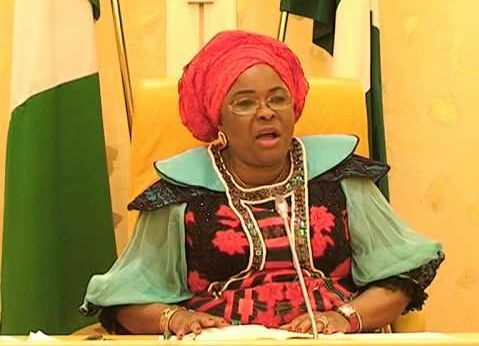 We brought you a tweet from one Jaja on Sunday that Patience Jonathan is set to contest for Senate come 2019, likely in Rivers State where she originally hails from. 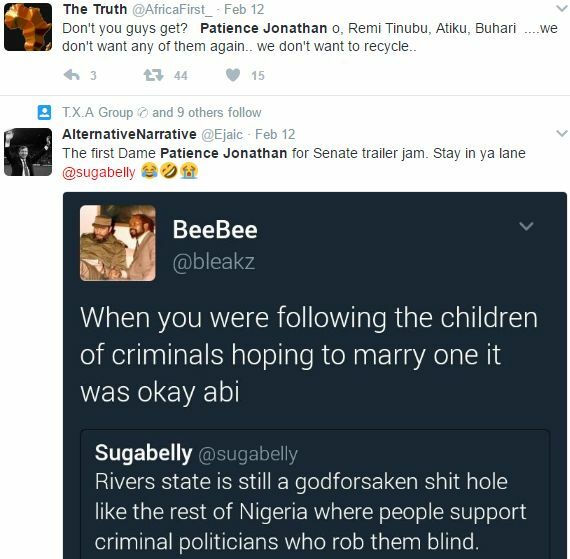 I guess so many Nigerians don't really know what they want...It's all about feeding-bottle politics.